Place into an 8×8 baking dish. Bake for about 15 minutes or until bubbly around the edges. 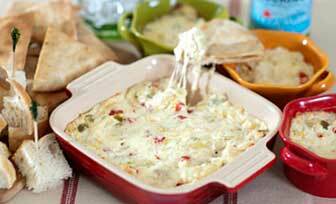 Serve hot with pita chips or bread cubes for dipping.